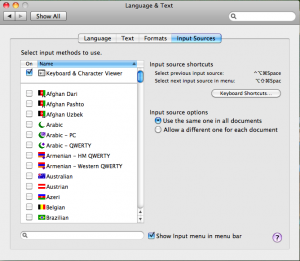 Typing Special (Unicode) Characters in Snow Leopard | Technology...and stuff. Wondering how to make special characters, such as the Command (⌘) Symbol in OS X Snow Leopard? Maybe you want to add the Euro (€) symbol? It’s not as hard as you may think. 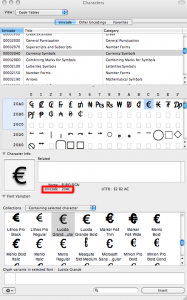 They are Unicode characters, and there are a few simple steps to make them easy to type on screen. 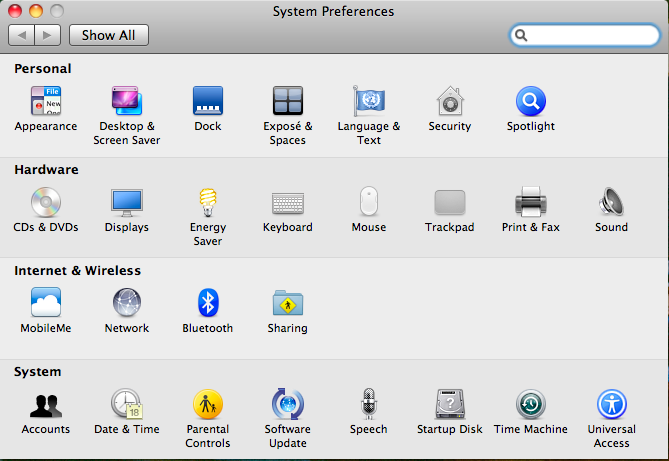 First, open System Preferences. 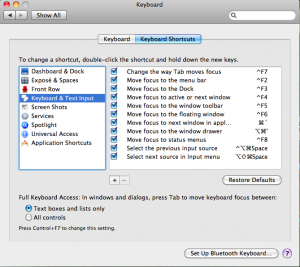 I like to use LaunchBar, so I type ^Tab, press”sy”, and hit enter. For those of you who like the mouse (gasp! 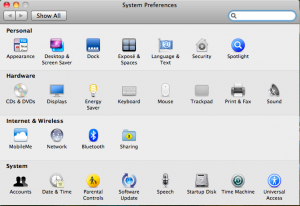 ): System Preferences is in your dock by default, or it’s found in your Applications folder. 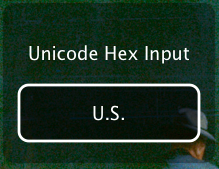 The key difference between Unicode and US is the function of the option key. 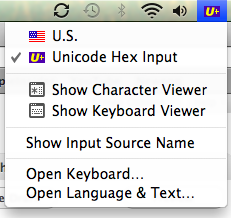 In Unicode layout, you hold down the option key and enter the Hex code for the symbol you’d like to type on screen. 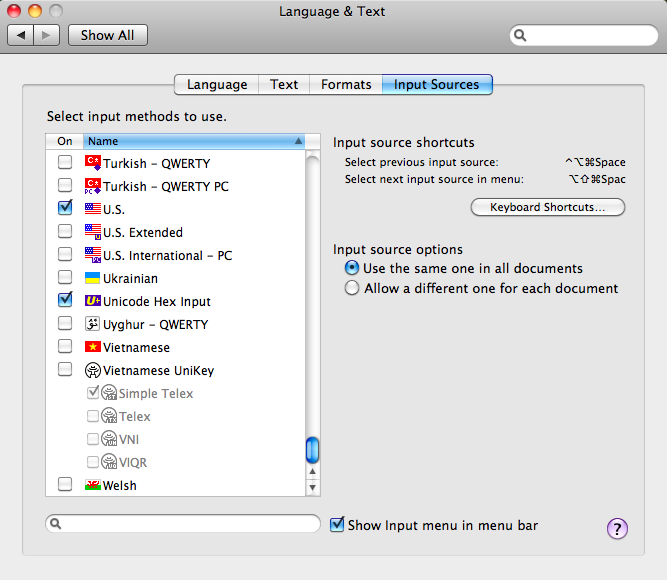 For example, holding down option and pressing 2 in a US keyboard layout gives you the trademark symbol, ™. Whereas in the Unicode Hex layout, you need to hold down option and type four keystokes to make a symbol. ⌘ is Option and then 2318. 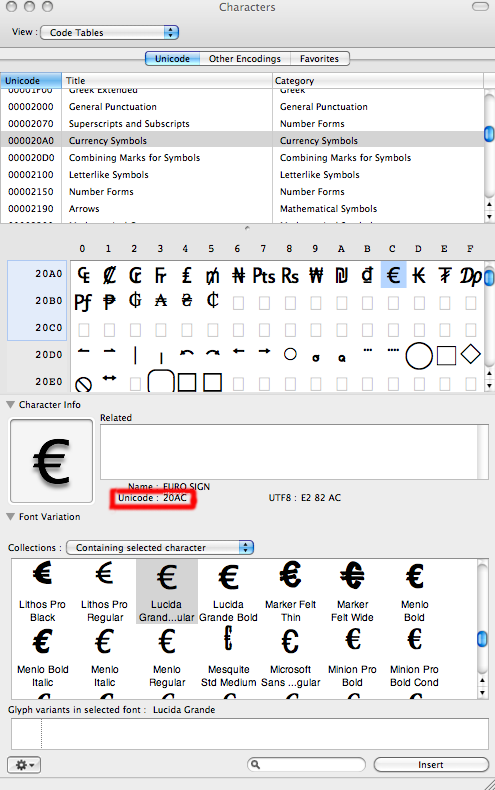 I chose the Euro as an example, and you can see in order to type the symbol, I hold down option and press 20ac (caps not necessary, although it is shown that way): €. 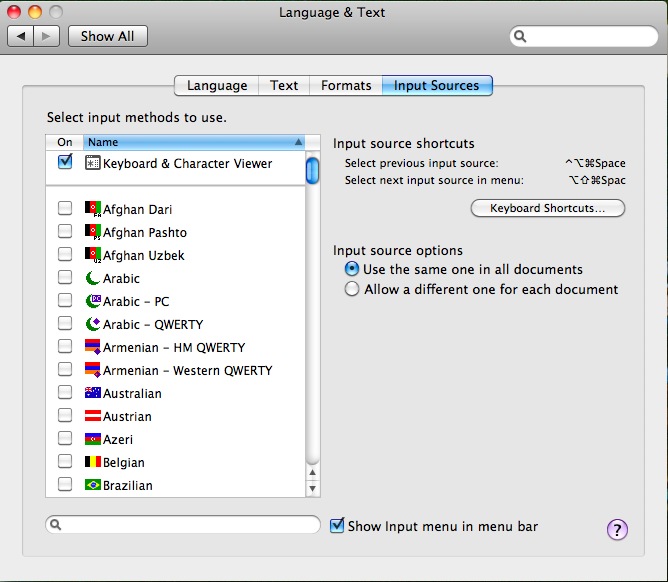 The keyboard viewer also helps identify the keymap of a new language layout. Although there isn’t a noticeable change between US and Unicode, you may see quite a change picking something like Canadian French or Dvorak. Good luck and happy character typing! 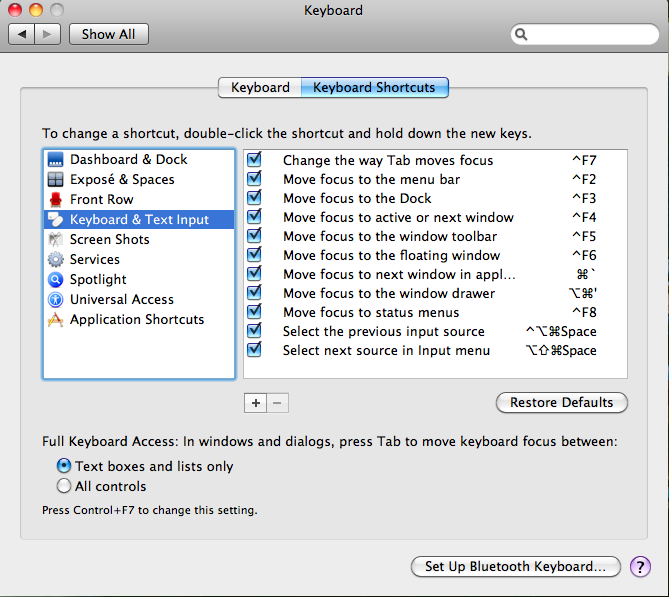 PS– To type the apple () symbol, in a US keyboard layout, hold down Option+Shift, and press k. No special keyboard required!